Mermaid strapless wedding gown with Taffeta Ruffles. Form fitting Silhouette. Asymmetrical Taffeta and crumple netting Ruffles embellished with beading. Slightly ruched gown with appliques and beading. 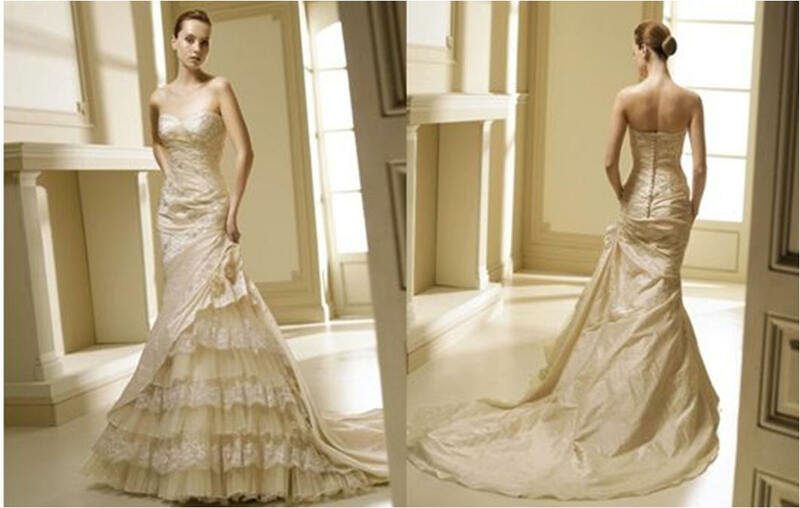 Strapless modified mermaid wedding dress, asymmetrical dropped waistline, side draped skirt with cascading ruffle. We strongly recommend you order a custom size for your detailed measurements so that the dress will fit you perfectly. Regular Wedding Dress delivery is 8 weeks.